Which tools has The Best Support to building your Membership site? So, what is Profits Theme? What features Profits Theme contains? What benefits you get when owning Profits Theme? Profits Theme is a Premium WordPress Theme that easily and quickly creates Membership sites, Landing Pages, Squeeze Pages, Sales Pages in minutes. Product Niche: WP Theme, MemberShip Site. Nowadays, one of the make money online methods for Bloggers which commonly used is build their Memberships Site. Membership Site is construed as establishing a blog which provide service to members. To be engaged, members must pay a fee to join membership site. Typically, this fee ranges from $10 to $50 that depending on the content they provide to members. There is a lot of content such as PLR, MRR Products, Training Course, etc that you can invest and develop a membership site to offer your customers and increase your revenue. Additionally, thanks to the strong growth of the online payment form as PayPal, Payza, Money Bookers, etc. Membership site has really made its strengths. So that’s also a great way to create long-term passive income. 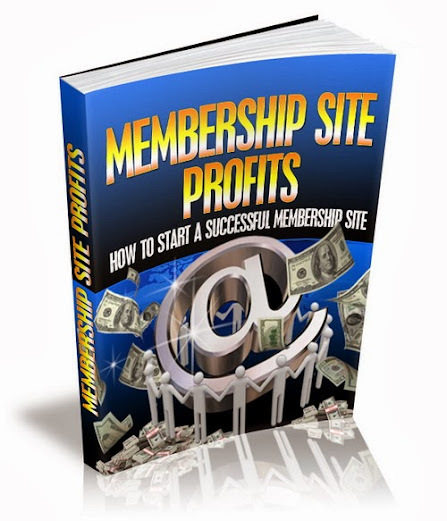 There are many tools as Profits Theme, aMember, S2member, MagicMembers, etc that can help you build a Membership site for business, these tools can be free or charging, and they have different strengths and weaknesses. In which, the Profits Theme are higher than all my reviews because of its powerful features contains. This is a reason I would like to introduce to you. As I mention above, Profits Theme is a Premium WordPress Theme that not only easily and quickly creates Membership sites in minutes, it also creates profitable Landing Pages, Squeeze Pages, Sales Page… so you can focus on Marketing instead of creating sites. Unlimited-level Membership site without any third-party software. Not only build your Membership site, it also creates Fresher Squeeze Pages that you can use to build your list. Great and good look Sales Pages. Create real and fake OTO (One Time Offer) pages. Create professional Product Launch Pages. Profits Theme integrated popular pay gate as PayPal, Clickbank, JVZoo, etc. And popular Autoresponder as Aweber, GetRespone, iContact, etc, for your list building. More…and more…. features. Please visit their sales pages for more powerful features information. The most prominent benefits are you save time, save a lot of money for design, buying third-party software. Now, all in one Profits Theme. If you aren’t programmers, this WP theme is for you. With Profits Theme, you just simplify choose what you want, click, drag and drop and you will get what you want. To experience self, visit their sales page to see DEMO SITE . To design Professional Membership site, Sales Page, Squeeze Page…, you have to pay hundred thousands of dollars for design fees and programming fees. But with Profits Theme, you just only cost minimum at $97. 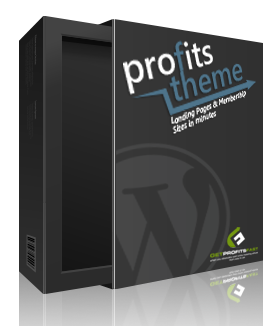 Grab Profits Theme Copy right now! Incredible software lets you run a money making membership site on 100% autopilot. It’s all possible and inexpensive with a hot new script called Membership site Manager. These strategies for creating an online business can earn you thousands, even millions of dollars and furthermore it is a lot LESS hassle than you think. Discover How To Start Your Very Own Successful Membership Site Today and FINALLY Start Earning a Regular Income From Your Online Business! Discover how to turn a wordpress blog into a Paid Members Site that sells itself in less than 15 minutes with this easy to use plugin. Those bonuses just available for anyone who gets Profits Theme through my links as say thank you. Step 1: Download Profits Theme through this links. To be able to use Profits Theme, you have to spend on an investment expenses. This is necessary if you really want to invest and get profits. In case, you just want to make a simple membership to be familiar with the Membership Administration, you can use the free tools. You can refer to the following 2 free tools to experience with Paid Membership Pro and S2Member. Learning always gives you so many opportunities – Take Action today to receive the values of the latter. To your online business success, cheers…! Are you tired Of buggy, complicated, and hard to use Membership Scripts? Let Easy Quick Member Create Fully-Functional, Profitable Membership Sites. Easy Quick Member Software Creates Fully-Functional, Profitable Membership Sites – In Minutes.